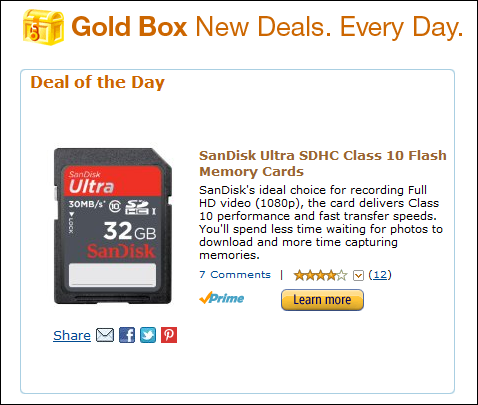 Today's Amazon Goldbox deal is going to be welcomed by, well... pretty much everyone who uses products that utilize flash memory - specifically full-sized SD cards. That includes such Android tablets as the Toshiba Thrive, Lenovo ThinkPad Tablet, and ASUS Transformer TF101 (with dock), among others. Of course, once you look past Android, you can use these SD cards in cameras (both DSLR and P&S alike), computers, MP3 players, and many other gadgets. 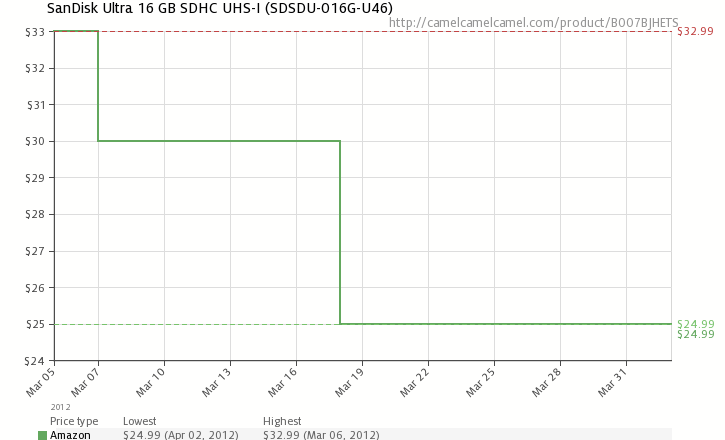 The 16GB SDHC version is listed at $32.99, on sale today for $17.99. Yesterday's price was $24.99. 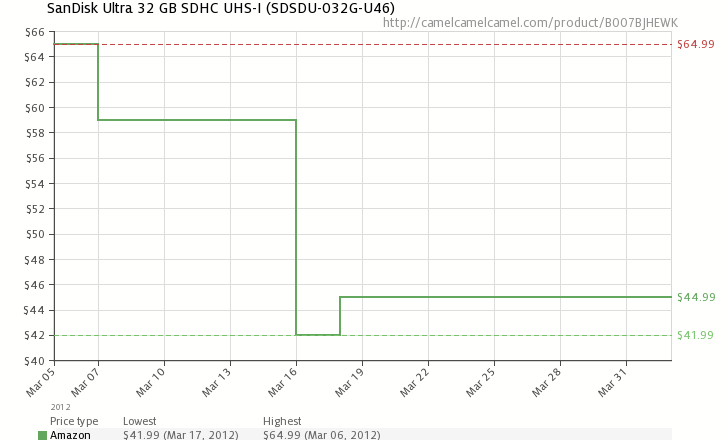 The 32GB SDHC version is listed at $64.99, on sale today for $29.99. Yesterday's price was $44.99. 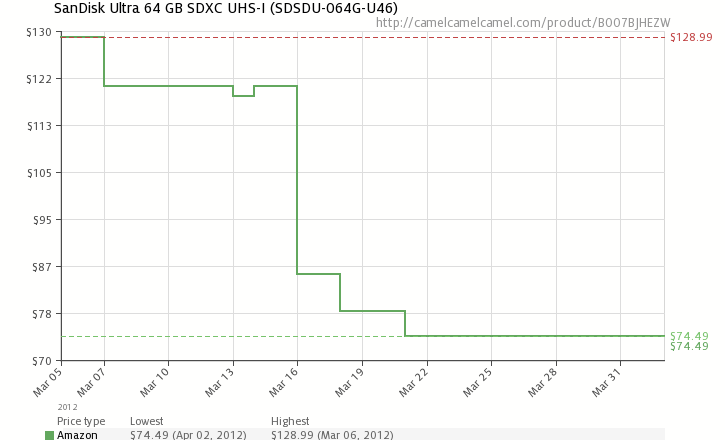 The 64GB SDXC version is listed at $128.99, on sale today for $57.99. Yesterday's price was $74.49. All cards are Class 10, which should be plenty fast for shooting 1080p HD video and super hi-res photos. For example, I couldn't get 1080p or even 720p video recorded on my Canon T2i until I upgraded to Class 10. In fact, it was a 32GB SanDisk Class 10 card, except I bought it for a whopping $186 in 2011. The price today... yeah, you could say there's a bit of bitterness in my mouth. Note: Make sure your devices can read SDXC cards before ordering the 64GB version. Important: Again, these are full-sized SD cards, not microSD. Read the intro paragraph if you still thought these were microSD by the time you read this line.